With the UK, US and other countries focused on advancing the arrival of driverless cars, changes to the rules that govern vehicles on roads were to be expected. Today, the Department for Transport (DfT) laid down guidlelines for testing autonomous (or semi-autonomous) cars on Britain’s roads. As you might expect, many of them are pretty standard fare that would apply to regular cars – like needing to be insured and have a valid road worthiness certificate (MOT) if over three years old. The cars and drivers need to meet existing UK traffic laws, too. However, the rules also say that operators/testers of driverless cars working remotely (as well as people who are present in ‘highly assisted vehicles’) aren’t allowed to drink alcohol, take drugs, use their phone, or do anything else that you wouldn’t be allowed to do while driving a regular vehicle. Test drivers and operators are also instructed to maintain the regular appearance of someone driving a car – like looking in the correct direction when at junctions, for example, to not confuse other motorists. Interestingly, autonomous vehicles will also have to be fitted with a ‘black box’ type recording device capable of “capturing data from the sensor and control systems associated with the automated features as well as other information concerning the vehicle’s movement,” the DfT says. This will have to record (at a minimum) whether the vehicle was in automatic or manual driving mode, how fast it is going, steering and braking command activation, among other things. It’ll also have to record data about the presence of other road users and vehicles. 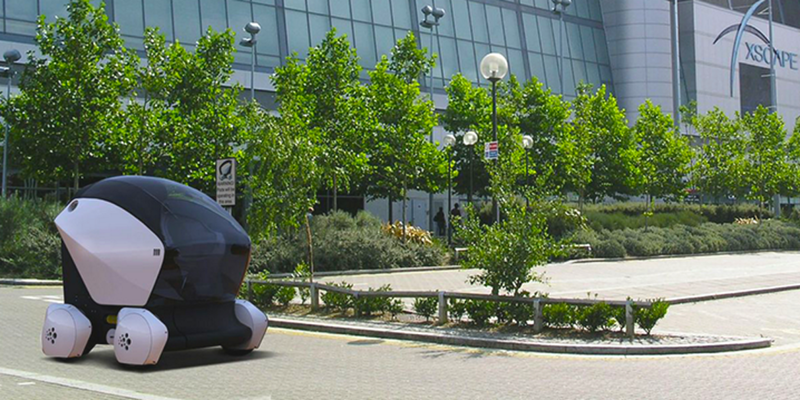 With guidelines now officially in place for the UK’s roads, it probably won’t be too long until we move from testing driverless pods on pathways onto public roads in different cities. Read next: Can startups survive in Greece?